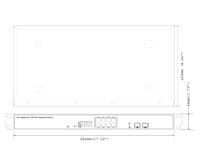 The Geovision GV-POE0811 is an 8 Port Smart Gigabit PoE Switch featuring high speed 10/100/1000Mbps Base-TX Ethernet and POE 802.3AT with up to 30 watts per port at 4 ports and 15.4 watts per port at 8 ports. 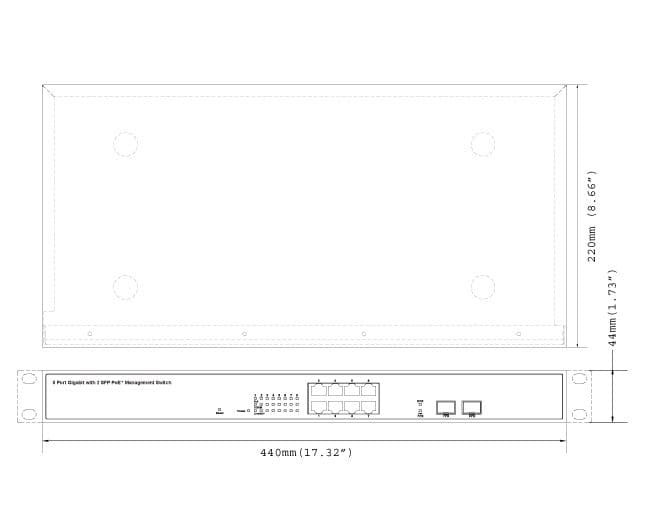 The Geovision GV-POE0811 also features 2 SFP open slots. This switch has web management features such as VLAN, QoS, RSTP, IGMP Snooping, LACP, Port Security, Broadcast Storm Control, Bandwidth Control and many more. The GV-POE0811 is ideal for small to medium networks that need to strengthen network connectivity and boost bandwidth efficiency. It can be mounted in a 19" cabinet using the included rack mount kit or it can be mounted to the underside of a desk.